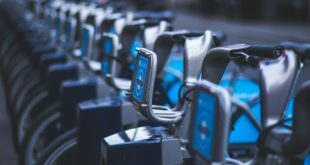 London Cycle Hire management firm Serco has responded to claims from industry insiders that it is underprepared for the scale of the job in hand. In a statement handed to BikeBiz, Serco said: "Serco is responsible for recruiting and training all maintenance and re-distribution staff for TfL’s London Cycle Hire Scheme. We have recruited high calibre, experienced staff who will be provided with a comprehensive, in-depth cycle hire training programme developed to cover a wide range of modules enabling them to deliver outstanding customer service to users of the scheme. "Our team of Supervisors will be trained by a specialist cycle organisation to deliver cycle maintenance training which will be supplemented by bespoke training provided by our equipment provider. Once fully trained, our Supervisors will be responsible for training their experienced teams in accordance with Serco’s high service standards." 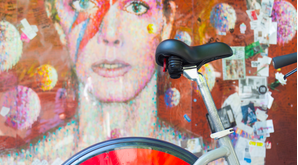 The firm behind the day-to-day running of London’s bicycle hire fleet, set to be launched on July 30th, has been accused of mismanaging the scheme even before it has begun. Serco, which won the tender to the contract set out by TfL last year, is now on the receiving end of some tough accusations from within the trade. A Serco spokesperson has told BikeBiz that the allegations are not entirely accurate, though at the time of print could not provide any further comment. It was also suggested to BikeBiz by the source, that a mere 29 staff would have trouble managing the likely maintenance workload from the 6,000 bikes to be in use, as well as doing site checks on bikes throughout London’s planned 400 docking stations. “We will have a fully trained and equipped team of 21 mechanical and electrical engineering staff who will maintain the cycles and on-street infrastructure. In addition, 30 engineering apprentices will undertake ongoing regular maintenance. “Our asset management system will keep a complete record of all activities undertaken with each asset on the scheme, ensuring that we maintain the cycles, terminals and docking points in line with the manufacturers’ advice. “In addition, should a fault occur with a bike, then the member of the public using the scheme will be able to report the problem by calling the Contact Centre using the number on the cycle or the terminal. Or, the individual can press the faulty cycle button on the docking point, which informs the Contact Centre the cycle is faulty. 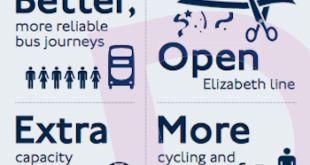 “We have used the experience of other cycle hire schemes to help us develop the maintenance program, and have sought to put in the optimum level of routine maintenance to reduce more expensive, longer-term problems caused by the ongoing wear and tear experienced by public cycles.